A platform for student engagement. Free for teachers. Browse thousands of great activities ready to use in your classroom today. Collect student responses digitally and lug home fewer papers. Students get excited to choose from Seesaw's creative tools. They express themselves, reflect on their learning and create a portfolio they're proud to show others. 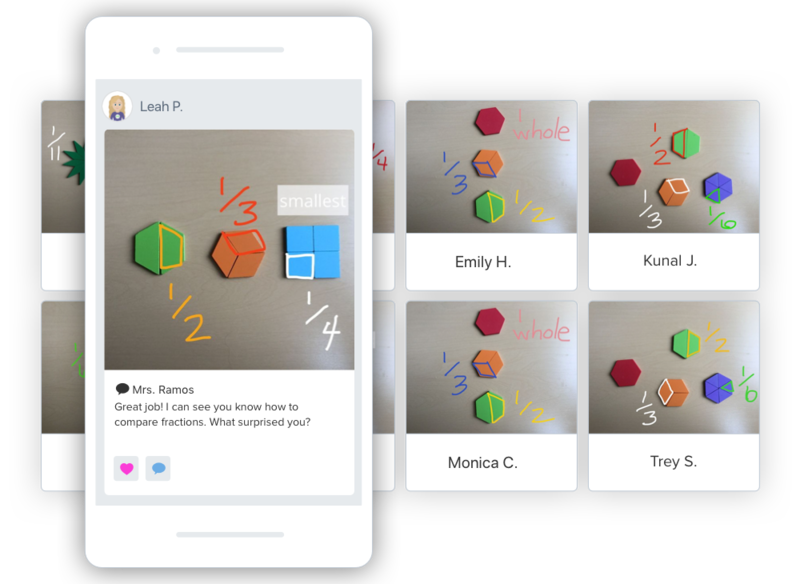 Seesaw helps you see and hear what students know so you can better understand their progress and give more differentiated instruction. Seesaw works on any device, shared or 1:1. Free for teachers. Hear from our community of teachers about using Seesaw in their classrooms.